Luli Martinez is a Mexican biologist focused on wildlife conservation. She earned her M.S. degree in Environmental Biology from the National Autonomous University of Mexico in Mexico City. Luli's thesis was an evaluation of the effect of prairie dogs in the provision of ecosystem services in grasslands of northern Mexico. Currently, Luli is pursuing a Ph.D. in Ecology and Evolutionary Biology at UCSC. Her research, broadly, sits in the fields of ecology and conservation of marine vertebrates. 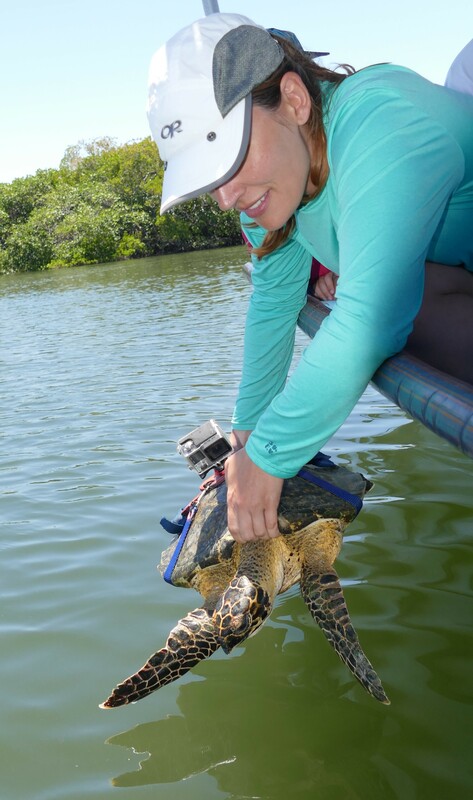 Specifically, she will examine the foraging ecology and habitat use of Eastern Pacific hawksbill sea turtles in the Gulf of California. This species is critically endangered and the Eastern Pacific population is believed to be the most endangered sea turtle population. Luli wants to determine the key habitats for these turtles and the efficacy of Locally Managed Protected Areas to protect them in this important foraging area.